The Office of the Attorney General of Switzerland has confirmed that it is examining a criminal complaint against former Israeli foreign minister Tzipi Livni, accused of war crimes by a Geneva-based pro-Palestinian group. Livni recently travelled to Lugano in southern Switzerland for a celebration organised by the Swiss-Israel Association. According to the Le Temps newspaper, Livni has been named in a legal suit filed on Monday by the Geneva-based Urgence Palestine activist group external link in relation to her role in the Israeli military’s “Operation Cast Lead” in the Gaza Strip between December 2008 – January 2009. She was foreign minister and acting prime minister at the time. The Attorney General’s Office external link confirmed to swissinfo.ch that this ‘[legal] request is presently being studied’. Operation Cast Lead began with a week of air attacks and shelling, followed by a land invasion of the blockaded coastal strip, sealed off at sea by the Israeli navy. Some 1,400 Palestinians were killed and 13 Israelis died. On May 28, Livni attended an event in the Italian-speaking city of Lugano in southern Switzerland organised by the Swiss-Israel Association external link to celebrate the 69th anniversary of the creation of the state of Israel. She left Switzerland on Monday via Italy. It is unclear what action the Attorney General’s office will take action in the future, especially if Livni plans to return to Switzerland. In December 2009, she cancelled a trip to London after being informed that she was the subject of an arrest warrant issued by a British court over her role in the same war. United Nations Secretary General Antonio Guterres has reportedly offered Israeli lawmaker, Tzipi Livni, a senior post at the world body, shortly after Washington, in a controversial move, blocked the appointment of a former Palestinian premier as the UN special envoy to Libya. According to a report published by the Israeli daily, Haaretz, on Sunday, Livni, who represents the center-left Zionist Union political alliance at the Knesset (Israeli parliament), has been offered the position of under-secretary-general in what has been seen as a measure to boost Tel Aviv’s influence within the world body. From 2001 to 2009, the 58-year-old legislator served in the cabinets of Israel’s former prime ministers, Ariel Sharon and Ehud Olmert, most notably as the regime’s foreign minister in the latter’s administration, during which she got acquainted with Guterres, who was Portugal’s prime minister at the time. Some two weeks ago, Livni made a one-day trip to New York aimed at having a personal meeting with the UN chief. Haaretz’ report further said that the pair, among other issues, had discussed the possibility of Livni’s appointment. It added that during the tenure of former UN Secretary General Ban Ki-moon, she had also shown an interest in a top post at the UN. If the Israeli lawmaker accepts the offer, she will become the first Israeli to serve as the UN under-secretary-general. The UN Security Council, however, will ultimately decide whether she gets the position. The new development comes after US Ambassador to the UN Nikki Haley, on Friday night, blocked the designation of former Palestinian Prime Minister Salam Fayyad to lead the UN mission in Libya, saying that the administration of US President Donald Trump “was disappointed” to learn that Guterres had proposed him for the job. The Haaretz report, citing some unnamed UN officials, added that Guterres was allegedly trying to forge a deal with Washington, under which the US would take back its fierce opposition to Fayyad, Guterres’ favorite pick for the position, and in return, US-backed Livni would attain the senior post at the world body. The developments come as the Tel Aviv regime is under fire for its settlement activities in the occupied Palestinian territories. The international community, including Tel Aviv’s own allies, view the Israeli settlements as illegal under the Geneva Conventions, which forbid construction on occupied territory. Since January 20, when Trump, an ardent supporter of Israel, took office, Tel Aviv has launched a major land grab drive in defiance of global calls for the regime to stop its settlement activities on the occupied Palestinian lands. Thursday, May 15 marked Nakba Day, Yawm an-Nakba, “Day of Catastrophe”, the onset of the displacement of up to 800,000 Palestinians, at the time 67% of the population, followed by the destruction of over 500 villages since the establishment of the State of Israel in 1948, under the commitment agreed to by the then British Foreign Secretary, Lord Arthur Balfour, in November 1917. This week: “Figures released by the Ramallah-based Central Bureau of Statistics … put the number of registered Palestinian refugees at 5.3 million. Those refugees live in 58 United Nations-run camps in Syria, Lebanon, Jordan, the West Bank and Gaza Strip.” Tragedy on a scale near unimaginable – ongoing. Hardly the day to plan another one. However, undaunted, Britain’s current Foreign Secretary, William Hague (“I have been a Conservative Friend of Israel since I was sixteen”) hosted a meeting of the “Friends of Syria” group (Egypt, France, Germany, Italy, Jordan, Qatar, Saudi Arabia, Turkey, the United Arab Emirates, the UK and the US) to continue plotting to further decimate another Middle East country and overthrow yet another sovereign head of State. As increasingly chilling, verified images appear of “opposition” – read insurgent – atrocities in Syria: beheadings, behandings, crucifixions, summary executions and, of course, cannibalism, Hague announced that: “the Syrian opposition would have its diplomatic status in the UK upgraded”, according to the BBC. The Foreign Secretary was clearly following in his master’s footsteps since last week the Obama regime granted diplomatic foreign mission status to the “Syrian National Coalition” offices in New York and Washington, with a welcome present of a further promised $27 million increase in “non-lethal assistance to rebels fighting to oust President Bashar al-Assad.” This brings the total US support for the above crimes to $287 million. Strangely, two days before the London meeting, it was announced that Israel’s Justice Minister Tzipi Livni was awarded “special mission” temporary diplomatic status to visit London, “to protect her against arrest and potential prosecution for alleged breaches of international law, including war crimes” relating to Israel’s attack on Gaza in December 2008-January 2009. PCHR Director Raja Sourani commented of the Foreign Office’s stunt: “As lawyers for the victims of widespread suspected Israeli war crimes, PCHR is very concerned that these kind of political acts endorse the ‘rule of the jungle’ rather than the ‘rule of law.’” Indeed. The Foreign Office is remarkably selective when it comes to alleged war criminals. Livni’s visit met “all the essential elements for a special mission, and for avoidance of any doubt on the matter, the Foreign and Commonwealth Office has confirmed consent to the visit as a special mission”, they commented. The reason for Livni’s visit was shrouded in secrecy. What is known that the evening of the “Friends of Syria” meeting, she was to address a fund- raising dinner for the Jewish National Fund at London’s luxury Jumeirah Carlton Tower Hotel ($725 a night current lowest available rate, no wonder funds are needed.) But all those Foreign Office diplomatic sleights of hand to enable something she could have done by video-link? Preferable, though, mooted the General, would be a NATO led action led by the US, with Turkey the key country, establishing a no fly zone over Syria “at the very minimum.” Libya revisited. There should also be “standoff strikes” by NATO aircraft at strategic government targets. “If Israel discovers that Assad is using chemical weapons against his people in mass attacks, it should intervene militarily”, said the representative of a regime who has used chemical weapons – not alone white phosphorous but also depleted uranium, both a chemical and radioactive weapon – against the Palestinians. Ironically, the article is headed: “Israel should punish Assad for killing civilians”, an expertise Israel has honed with impunity over sixty-six years. Right on cue, on May 13th, in the lead to the London Conference, Human Rights Watch produced a report of “strong evidence” that Syrian government forces were using chlorine bombs. For example, HRW’s Washington advocacy director, Tom Malinowski, previously served as a special assistant to President Bill Clinton and as a speechwriter to Secretary of State Madeleine Albright. In 2013, he left HRW after being nominated as Assistant Secretary of State for Democracy, Human Rights & Labor under John Kerry. John Kerry was, of course, also in London for the meeting, two days after he and President Obama had met with alleged former brothel owner Ahmed al-Jabra, who heads the “Syrian National Coalition”, in Washington. Jabra too had hopped on a ‘plane to London to attend the up-market plotting venue. A world away from the prison cell in Syria where he allegedly spent time for drug dealing. Perhaps these most serious allegations regarding the man who now has upgraded diplomatic status in the US and UK have passed the State Department and Whitehall by. Whatever, they certainly seem to play fast and loose with awarding diplomatic credentials. In context, if the real reason for the action over Justice Minister Livni’s status change was not so she could attend the plotting against Syria – just over three weeks before the Syrian Presidential election on 3rd June, which President Assad is widely expected to win – it would be beyond astonishing. Clearly this was a week of triumph for selective perception. “The US and its allies are working ‘to send a unified message to pro-Russian separatists …’” that interference will not be tolerated. Whilst in sovereign Syria they are giving ever escalating $millions and arms to up to 80 groups of foreign terrorists led by an alleged serial criminal to bloodily interfere at mass murderous level. Israeli Justice Minister Tzipi Livni has been granted temporary diplomatic immunity for an upcoming visit to the United Kingdom, in order to protect her against arrest for her alleged war crimes, British media reported on Tuesday. The British Foreign Office confirmed it had granted “special mission” status to Livni, The Guardian wrote, ahead of a planned meeting between the Israeli politician and Foreign Office ministers in London. 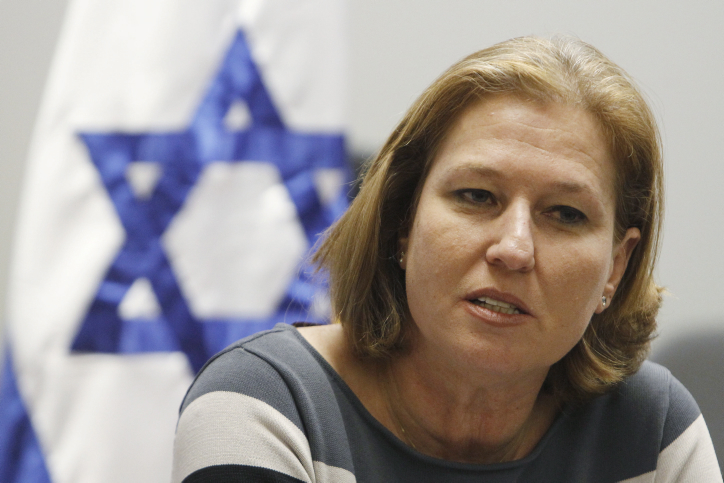 Livni’s office confirmed the news, Israeli newspaper Haaretz reported. The Gaza-based NGO Palestinian Center for Human Rights (PCHR) and London law firm Hickman & Rose have been leading efforts to prosecute Israeli officials accused of breaching international law. Livni had a key role in the 2008-2009 Israeli attack on Gaza, also known as Operation Cast Lead, in which more than 1,400 Palestinians were killed. Raji Sourani, PCHR director, told The Guardian that he was very disappointed at the British government’s decision to grant immunity to Livni. “The [British government’s] stated policy of ‘ending impunity for international crimes’ can only be properly pursued if the rule of law and due process is allowed to prevail, rather than Britain giving a safe haven to suspected war criminals, even for a few hours,” Sourani said. He noted that a British judge had ruled in December 2009 that there was sufficient evidence to justify Livni’s arrest over her role in Operation Cast Lead. The UK’s law on universal jurisdiction – which allows for foreign leaders to be arrested on British soil for breaches of international law – was changed in recent years to make approval from the Director of Public Prosecutions mandatory before an arrest warrant can be issued. The change in legislation took place shortly after Livni canceled a visit in 2009 over fears of arrest. She has since been granted diplomatic immunity for an October 2011 visit to the UK. In July 2013, Israel’s army chief, Lieutenant General Benny Gantz was also granted judicial immunity during a visit to the European country in order to discuss military cooperation. Gantz has been accused of involvement in the commission of war crimes, particularly in the November 2012 assault on the Gaza Strip, codenamed Operation Pillar of Defense. How many times have we heard about Islam, Muslims and Arabs being slammed for being reactionary on Gay Rights? How many times have we seen political lobbies mobilizing to address Gay Rights issues against Muslim and Arab states and institutions? Interestingly enough, it is actually in the Jewish state where Gays are murdered on the street. Two days ago in Tel Aviv, the Jewish metropolis that insists upon regarding itself as an international Gay capital proved to be a pretty dangerous place for people who happen to be homosexuals. In fact, the attack on the Gay community in Tel Aviv should not take us by surprise. The Jewish state, in spite of its relentless effort to prove otherwise, is one of the least tolerant places on this planet. It is fuelled by hatred towards others and Otherness. Its politicians are defined particularly by their level of cruelty towards Palestinians. As much as the Israelis do love to see themselves as being ‘tolerant and liberal’, they hate their neighbors and would implement the most murderous lethal tactics against them. At the end of the day, it shouldn’t take us by a complete surprise that in a country that pours white phosphorous on civilians and starves millions behind barbed wire, some people develop deadly inclinations. The Jewish state is founded on negation. It hates everything that fails to be Jewish. It hates Arabs, it hates the Palestinians, it hates the Goyim, it hates criticism, it hates Islam, it hates the Pope, it hates Christianity. You name it, they hate it. As it happens, all it takes to hate Gays is for someone out there to think that Gay is not Jewish enough. And in fact it isn’t. It is as non-Jewish as much as democracy and tolerance are totally foreign to the spirit of Jewishness. A list of prominent Israeli leaders rushed yesterday to promote the fake notion of Jewish tolerance. Amongst them was opposition leader Tzipi Livni who just eight month ago flattened Gaza directly over its inhabitants. “We need to give strength to the child who comes to his parents and says: ‘I am gay,’ or ‘I am a lesbian;’ said Livni. Seemingly, just eight months ago, the same Livni didn’t care much about the hundreds of children that were slaughtered in a criminal war she was enthusiastically pushing for. She appeared to not care much about the thousands of kids who were severely injured and broken for life. Another Israeli prominent War Criminal, the man who introduced WMDs to the region is no other than President Shimon Peres. “The shocking murder in Tel Aviv last night,” he said, “is the kind of murder that an enlightened and cultured people cannot accept.” The man who prides himself as an enlightened and cultured Jewish ambassador is actually personally responsible for more Palestinian death and carnage than any other living politician. Prime Minister Benjamin Netanyahu, one of the least tolerant leaders ever also had something to say about tolerance: “we are a democratic and tolerant country and we must respect every person as he is.” I can only wish the Israeli PM would find the courage to listen to his own words next time he evicts Palestinians from their soil and dwellings. This is really the crux of the matter. Israel is only tolerant symbolically. It is engaged solely in pseudo manifestations of liberalism, it is a ‘kind of’ a democracy, it is ‘kind of’ an open society, it is ‘kind of’ a broadminded society. The more it praises itself for being tolerant and liberal, the more aggression is brewing within. The more open it pretends to be, the more murderous it becomes for real. This may explain how it is that in such a ‘tolerant society’ 94% of the population supported the slaughter of the Palestinians in the last Israeli campaign in Gaza. This may explain also how it is that in a ‘tolerant’ society, sightseers flocked to the Gaza border to watch their army spreading death en masse. The repellent duality between fake ‘tolerance’ and vile aggression is the outcome of an unauthentic Jewish fictitious national fantasy. A fantasy that is grounded in mimicking some Western ideologies that are totally foreign to Jewish ideology (religious and secular). Tolerance, democracy and liberalism are foreign to Jewish political precepts which are all racially orientated and supremacist to the bone. For those who cannot see it yet, Zionist aggression is turning against itself. Israel is imploding. There is not much doubt amongst Biblical scholars that the Hebrew Bible contains some highly charged non-ethical suggestions, some of which are no less than a call for a genocide. Biblical scholar Raymund Schwager has found in the Old Testament 600 passages of explicit violence, 1000 descriptive verses of God’s own violent actions of punishment, 100 passages where God expressly commands others to kill people. Apparently, violence is the most often mentioned activity in the Hebrew Bible. As devastating as it may be, the Hebrew Bible saturation with violence and extermination of others may throw some light over the horrifying genocide conducted momentarily in Gaza by the Jewish state. In broad daylight, the IDF is using the most lethal methods against civilians as if their main objective is to ‘destroy’ the Gazans while showing ‘no mercy’ whatsoever. Interestingly enough, Israel regards itself as a secular state. Ehud Barak is not exactly a qualified Rabbi and Tzipi Livni is not a Rabbi’s wife. Accordingly, we are entitled to assume that it isn’t actually Judaism per se that directly transforms Israeli politicians and military leaders into war criminals. Moreover, early Zionists believed that within a national home Jews would become ‘people like all other people’, i.e., civilised and ethical. In that very respect, Israeli reality is pretty peculiar. The Hebraic secular Jews may have managed to drop their God, most of them do not follow Judaic law, they are largely secular, and yet they collectively interpret their Jewish identity as a genocidal mission. They have successfully managed to transform the Bible from being a spiritual text into a bloodsoaked land registry. They are there, in Zion i.e., Palestine, to invade the land and to lock up, starve and destroy its indigenous habitants. Accordingly, it seems as if the artillery commanders and IAF pilots that erased northern Gaza two nights ago were following Deuteronomy 20:16 they indeed did “.. not leave alive anything that breathes.” And yet, one question is left open. Why should a secular commander follow Deuteronomy verses or any other Biblical text? As far as genocide is concerned the difference between Judaism and Zionism can be illustrated as follows: while the Judaic Biblical context is soaked with genocidal references, usually in the name of God, within the Zionist context, Jews are killing Palestinians in the name of themselves i.e., the ‘Jewish people’. This is indeed the ultimate success of the Zionist revolution. It taught the Jews to believe in themselves. To believe in the Jewish state. ‘The Israeli’ is Israel’s God. Accordingly, the Israeli kills in the name of ‘his or her security’, in the name of ‘his or her democracy’. The Israelis destroy in the name of ‘their war against terror’ and in the name the ‘their America’. Seemingly, in the Jewish state, the Hebraic subject reverts to mass killing as soon as he finds a ‘name’ to associate with. This doesn’t really leave us too much room for speculation. The Jewish state is the ultimate threat to humanity and our notion of humanism. Christianity, Islam and humanism came along with an attempt to amend Jewish tribal fundamentalism and to replace it with universal ethics. Enlightenment, liberalism and emancipation allowed Jews to redeem themselves from their ancient tribal supremacist traits. Since the mid 19th century, many Jews had been breaking out of their cultural and tribal chain. Tragically enough, Zionism managed to pull many Jews back in. Currently, Israel and Zionism are the only collective voice available for Jews. The last twelve days of merciless offensive against the Palestinian civilian population does not leave any room for doubt. Israel is the gravest danger to world peace. Clearly the nations made a tragic mistake in 1947 giving a volatile racially orientated identity an opportunity to set itself into a national state. However, the nations’ duty now is to peacefully dismantle that state before it is too late. We must do it before the Jewish state and its forceful lobbies around the world manage to pull us all into a global war in the ‘name’ of one banal populist ideology or another (democracy, war against terror, cultural clash and so on). We have to wake up now before our one and only planet is transformed into a bursting boil of hatred. The Israeli Government passed Sunday [June 9, 2013] the “Anti-Terror Bill”, authorizing harsher punishment against individuals suspected or convicted of aiding armed groups in the country, and anywhere in the world. Several human rights groups in Israel and around the world voiced serious concerns regarding direct human rights violations, especially since this law strengthens and “legalizes” Administrative Detention orders confining hundreds, and even thousands, behind bars for extended periods without charges or trial. The bill passed during a vote at the Israeli Ministerial Committee for Legislation, headed by Israeli Justice Minister, Tzipi Livni. It not only targets those “convicted of terror attacks”, but also those who express support, emphasize and “incite terror activities” in addition to those believed to be engaged in preparations to carrying out violent acts. Part of the penalties that this bill proposed include sentencing individuals for a life term without the possibility of parole, and allows the Police, the Security Services and all related agencies to confine “suspects” up to 30 days without granting them the right to any legal representation. The passed bill also allows Israel to seize property of armed groups and individuals, in addition to preventing them from traveling abroad when there are no arrest warrants against them. Israeli daily Haaretz has reported that the new legislation, would replace the “national state of emergency regulations” that Israel enforced after its establishment in the historic land of Palestine in 1948. Those regulations affect civil, security and economic issues. The law particularly targets Palestinians and the indigenous Arab population in Israel, as those facing charges of “security or criminal violations”, whether in civil or military courts, would be facing very harsh sentences. Head of the Meretz opposition party, Zahava Gal-On, said that Israel is denying human rights under the guise of combating terror. She said that the emergency law applied in the country since the British occupation of Palestine, “cannot just be replaced with legislation that is anti-democratic”. Also, the Association for Civil Rights in Israel (ACRI) slammed the bill, described it as anti-democratic, and warned that its provisions could turn legal organizations and law-abiding persons into terrorists just because they are suspected of aiding or practicing terror. 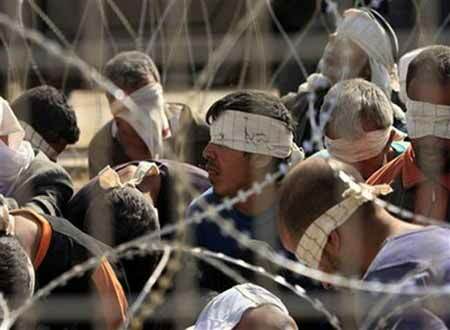 The Arabs48 news website reported that, under the new law, persons who even express support for groups labeled by Israel as “hostile” or “terrorist” could be imprisoned up to three years. It also considers financial support to these organizations as an “act of terror”. Arabs48 added that the new bill increases the years of life-terms from 30 to 40 years. It stated that the Israeli Prosecutors Office said that Price Tag attacks have not been labeled as acts of terror, as the Office believes that boosting intelligence activity and adequate training to police officers dealing with those attacks could put an end to those attacks. The Israeli Government Legal Advisor stated that, legally, there is nothing stopping the government from describing and declaring Price Tag attacks as acts of terror. In an Editorial Published on June 9, Haaretz said that the core of this bill has serious and extremely wide definitions for a terrorist organization, or terrorist acts, and added that once an organization, including a charity group, is labeled as a terrorist group, the moral base and all legal measures are destroyed. The tears shed by assorted media at the news of David Miliband’s departure from British politics for a new life in New York had me reaching once again for the sick-bag. “British politics will be a poorer place without David,” said brother Ed, leader of the Labour Party. Will it? I’m pleased to see Peter Oborne’s straight-talking piece in The Telegraph putting Miliband D in his place. Miliband wrote Labour’s vacuous 1997 and 2001 election manifestos and was at the heart of the Labour machine when it generated the now notorious falsehoods over Iraq. Oborne also notes the irony of Miliband’s new job heading a humanitarian organisation “when the government of which he was such a loyal member created so many of the world’s disasters”. And having gone, many will be praying the Miliband brat won’t be back. He will be forever remembered as the British foreign secretary who shamelessly apologized to Israel’s gangsters for the risk they ran of being arrested if they set foot in London. Back in 2009 Ehud Barak, Tzipi Livni and retired general Doron Almog, cancelled engagements in London for fear of ‘having their collar felt’. Israel complained bitterly and Miliband promised Lieberman that UK laws relating to ‘universal jurisdiction’ would be changed. He asked Prime Minister Gordon Brown and Justice Minister Jack Straw for urgent action. Never mind that the arrest warrants were issued to answer well-founded criminal charges. Never mind that under ‘universal jurisdiction’ all states that are party to the Geneva Conventions are under a binding obligation to seek out those suspected of having committed grave breaches of the Conventions and bring them, regardless of nationality, to justice. And never mind that there should be no hiding place for those suspected of crimes against humanity and war crimes. Human rights activists resorted to private arrest warrants because the government was in the habit of shirking its duty under the Fourth 1949 Geneva Convention and dragged its feet until the birds had flown. Bringing a private prosecution for a criminal offence is an ancient right in common law and, in the words of Lord Wilberforce, “a valuable constitutional safeguard against inertia or partiality on the part of the authority.” Lord Diplock, another respected Lord of Appeal, called it “a useful safeguard against capricious, corrupt or biased failure or refusal of those authorities to prosecute offenders against the criminal law”. And the beauty of the private warrant was that it could be issued speedily. Any British government minister who brings this degree of obsequiousness to his job and is prepared to undermine our justice system in order to make the UK a safe haven for the likes of her, deserves to be judged harshly. Miliband is also remembered for not having the guts to visit Gaza, or even Iran, while in office. Yet he managed to reach Gaza in 2011 with Save the Children. “I had not been able to visit while in government for security reasons,” he said in an article in The Guardian. What nonsense. The only danger would have been from an air-strike by his psychopathic friends in Tel Aviv or a Mossad assassin. Those risks go with the job. You can’t be an effective foreign secretary wrapped in cotton wool. While David Miliband headed up foreign policy it was frankly embarrassing to be British. What magical transformation has this pipsqueak recently undergone to make him the ideal candidate to run an organization like the International Rescue Committee? With the likes of Madeleine Albright, Condoleeza Rice, Colin Powell, and Henry Kissinger on board, you might wonder about the IRC’s presence in vulnerable countries like Syria, Iraq and Afghanistan. No-one is about to forget Albright’s infamous remark about the human misery caused by the intervention and mayhem in Iraq, that “the price is worth it”. – Stuart Littlewood’s book Radio Free Palestine, with Foreword by Jeff Halper, can now be read on the internet by visiting http://www.radiofreepalestine.org.uk. Some days the Newspaper of Record says a lot–not always in ways you might expect. Two senior Israeli officials, speaking on the condition of anonymity because they were not authorized to speak, said that Israel was sure that chemicals were used, but did not have details about what type of weapons were used, where they came from, when they were deployed, or by whom. Two senior ministers in Israel’s new cabinet said publicly on Wednesday that chemical weapons had been used, and several government officials said in interviews that Israel had credible evidence of an attack. The ministers, Tzipi Livni and Yuval Steinetz, were among those who met with Mr. Obama here on the first day of his trip. Israeli officials provided no proof of their assertions but appeared more confident that chemical weapons had been used. So is the Times, in its own way, telling us not to trust the officials speaking on the record? That’s certainly one way to read the piece. Mr. Obama was driven across the tarmac to inspect a battery of the Iron Dome air-defense system. The system, built by Israeli companies but financed by the United States, is credited with intercepting more than 400 rockets fired from Gaza at Israeli towns…. Israeli officials say that Iron Dome has been a huge success, intercepting 86 percent of the 521 incoming rockets it engaged in the Gaza conflict. Some American missile-defense experts have questioned that figure, putting the hit rate at closer to 10 percent. Theodore A. Postol, a physicist at M.I.T. who helped reveal the Patriot antimissile failures of 1991, analyzed the new videos and found that Iron Dome repeatedly failed to hit its targets head-on. He concluded that the many dives, loops and curls of the interceptors resulted in diverse angles of attack that made it nearly impossible to destroy enemy warheads. “It’s very hard to see how it could be more than 5 or 10 percent,” Dr. Postol said. Mordechai Shefer, an Israeli rocket scientist formerly with Rafael, Iron Dome’s maker, studied nearly two dozen videos and, in a paper last month, concluded that the kill rate was zero. Reading all of that, it’s hard to imagine anyone could really believe the Israeli claims about Iron Dome’s success rate. So if you want to get a handle on Iron Dome, ignore the story on page 10 and pay attention to the story on page 11. And if you’re trying to figure out which Israeli officials to trust on the Syria chemical weapons story, the unnamed sources seem to be the ones who are more forthright about what they know. That’s a lot to ask of readers, isn’t it? NAZARETH — Israeli and Palestinian officials have been in Washington laying the ground for President Barack Obama’s visit to Israel and the West Bank, scheduled for next month and the first since he took office four years ago. The prospect of reviving the peace track between Israel and the Palestinians is not one that is appetising for either Obama or Netanyahu. Both are bruised from locking horns over a settlement freeze — the key plank of the US president’s efforts — during his first term. The perennial optimists have been searching for signs that Obama is readier this time to get tough. Neither of the president’s recent major appointments — John Kerry as secretary of state and Chuck Hagel, nominated as defence secretary — has been welcomed in Israel. Israeli officials, meanwhile, look eager to mend fences: they have hopefully codenamed the visit “Unbreakable Alliance” and announced an intention to award Obama Israel’s highest honour, the presidential medal. Not least, they ignore the fact that Netanyahu’s Knesset faction is the most right-wing in Likud’s history. He cannot advance a peace formula — assuming he wanted to — without tearing apart his party. Equally, there is nothing in Lapid’s record to indicate he is willing to push for meaningful compromises on Palestinian statehood. On this issue, he occupies the traditional ground of Likud, before it moved further right. A recent poll found half his supporters called themselves right-wing. The sticks that Israel wields force Abbas to keep the door open to negotiations even as most Palestinians recognise their utter pointlessness. Likewise, his constant need to appease Israel and the US serves only to widen differences with Hamas. The correct path to statehood is through implementation of international law and UN resolutions and the approval of the international community. (LONDON) – Britain’s prime minister David Cameron has again shown why he should stand down from British politics. Pure blackmail. Bullying Palestinians into resuming failed and discredited talks to bargain with the thief for the return of their lands and property when it is still being stolen with impunity, is utterly immoral. There can be no peace under occupation. And nobody ‘negotiates’ with a gun to their head, nor should they be expected to. This is about Wafa Idris. It has become a favourite rant and Cameron was banging on about it a couple of months earlier at another top Jewish gathering. According to The Jerusalem Post (September 2011) a Fatah-affiliated youth centre in the Ama’ari refugee camp near Ramallah named a sports event after female suicide bomber Wafa Idris, a 28 year-old paramedic who had been shot several times by Israeli rubber bullets during her work for the Red Crescent. Relatives said she was angry at seeing children shot and killed by the IDF in Ramallah. Idris was the first Palestinian woman to carry out a suicide bombing. The Al-Aqsa Martyrs Brigade, a subsidiary of Abbas’s Fatah (who are Cameron’s friends in Occupied Palestine), claimed responsibility for the bomb attack although her family said she was not known to be an activist with any Palestinian militant group. In Lydda the Israelis massacred 426 men, women, and children. 176 of them were slaughtered in the town’s main mosque (See the lurid details here). Out of the 19,000 people who called Lydda home, only 1,052 were allowed to stay. The remainder were forced to walk into exile in the scalding July heat leaving a trail of bodies – men, women and children – along the way. The slaughter in Lydda was led by a certain Moshe Dayan. The event was witnessed by two American newspapermen who reported that “practically everything in their way died. Riddled corpses lay by the roadside.” They saw “the corpses of Arab men, women and even children strewn about in the wake of the ruthlessly brilliant charge” (emphasis Aletho News ). This appalling war crime didn’t prevent Dayan becoming a great hero in Israel, and later defence minister and foreign minister. Back to the Ama’ari refugee camp, now run by the UNRWA, where Wafa Idris was obliged to live in squalor as a result of Israel’s criminal land-grab and forcible eviction of her parents from Ramla. At Ama’ari 10,500 people are squeezed into less than 1 square kilometre in dreadful conditions.